Originally from Fairbury, Nebraska, Miranda earned her Bachelor’s of Science in Nursing Degree from Creighton in 2015. After graduating, she went into graduate school at the University of Nebraska Medical Center and earned a Doctorate of Family Nurse Practitioner Degree in 2018. 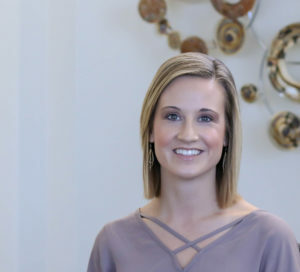 While working as a Family Nurse Practitioner, Miranda also practiced as a cardiovascular Registered Nurse at Nebraska Heart Hospital for three years. She is married and has a sassy beagle that keeps her entertained. Miranda and her husband love traveling and spending time with family and friends. They also love being outdoors and biking, jogging, or skiing in the winter.